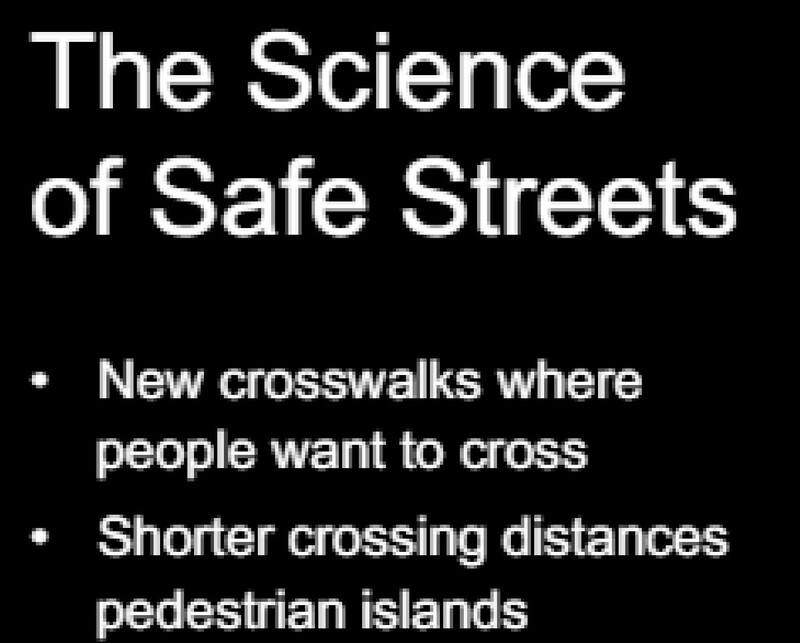 The Science of Safe Streets (p22) isn’t hard to understand, but what NZ traffic engineers have done traditionally is to try to separate road users and move pedestrians to where they want them to cross. So question one is: where do people actually cross on Ward St? 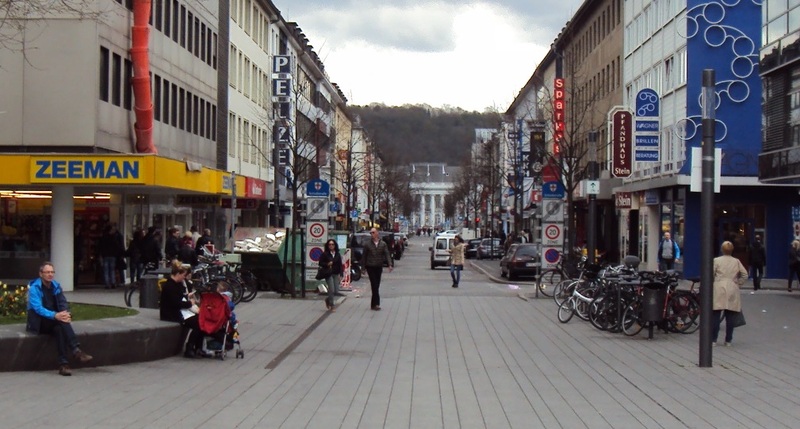 Moving on to Example 1 – Schloßstraße Koblenz: Having walked this street a number of times, each time I found myself walking in the centre of the street. Even though this is also a place for motor vehicles, it did feel the centre was the right place to be. I think this came from the open space, with uncluttered sight lines, which creates a vacuum that pulls life to the centre. It also has the ‘boutique stores, retail and inner city living … 24/7 living’ of Hamilton’s Future 2020 Vision utopia, as described in a longer quote at the end of this post. 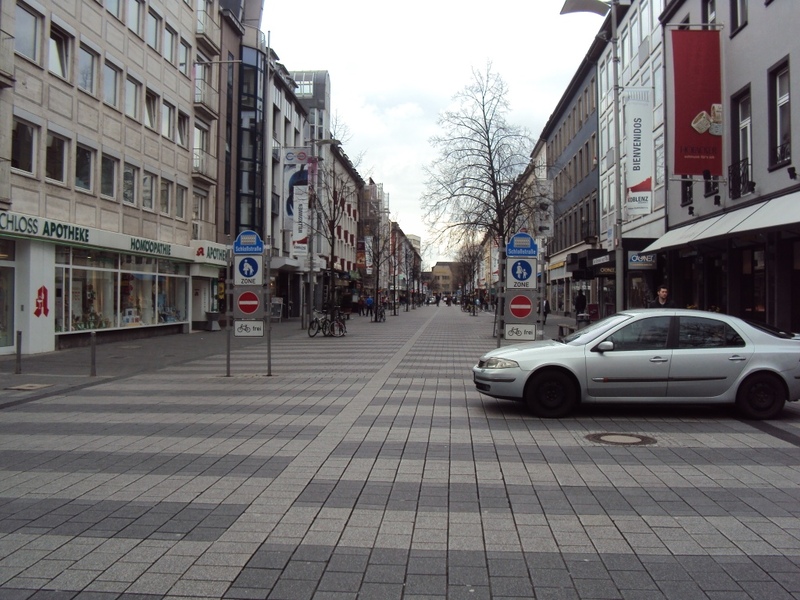 Example 2 – Neue Straße Ulm: This carries motor vehicle traffic in a area between the city’s main square in the north, in the older city, and the river promenade in the south. My reference says it moves 13,000 vehicles per day, which is in between Hamilton’s Anglesea St at 12,300vpd* and Tristram St at 14,560vpd*. (*five year average 2012-2016). I have walked across this street more than once and it did feel OK. I think what makes it OK is the flush surfaces. What was also noticeable was that the vehicle lane was identifiable more by its different surface texture than its colour. There were some bollards but these weren’t placed to stop motor vehicles from accessing courtyards if they needed to. 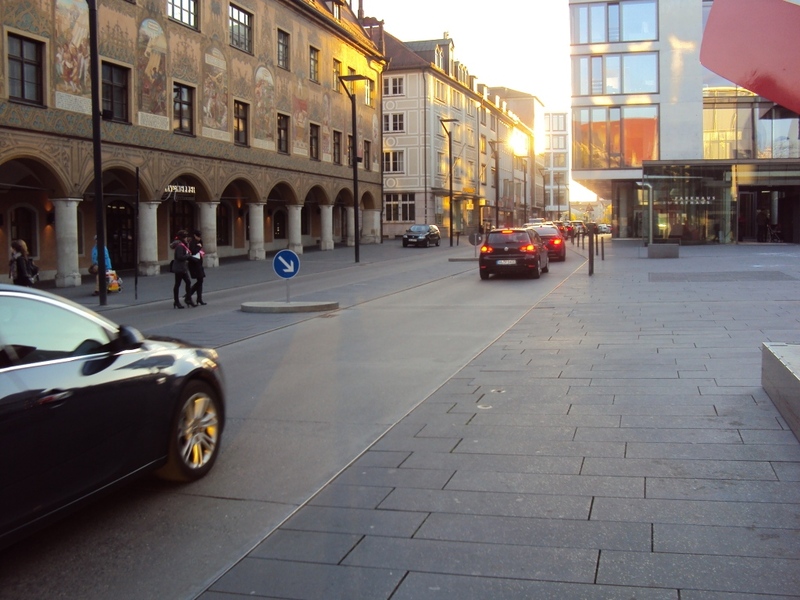 If cyclists, pedestrians and car drivers are to share narrow spaces as equally as possible and at the same time increase the quality of stay for residents and visitors, this is only possible if the speeds fall. Because the higher the speed and the different the speeds of the various road users, the greater the required safety distance between the individual road users, the louder the traffic, the stronger the tunnel vision is, which prevents us from perceiving others. 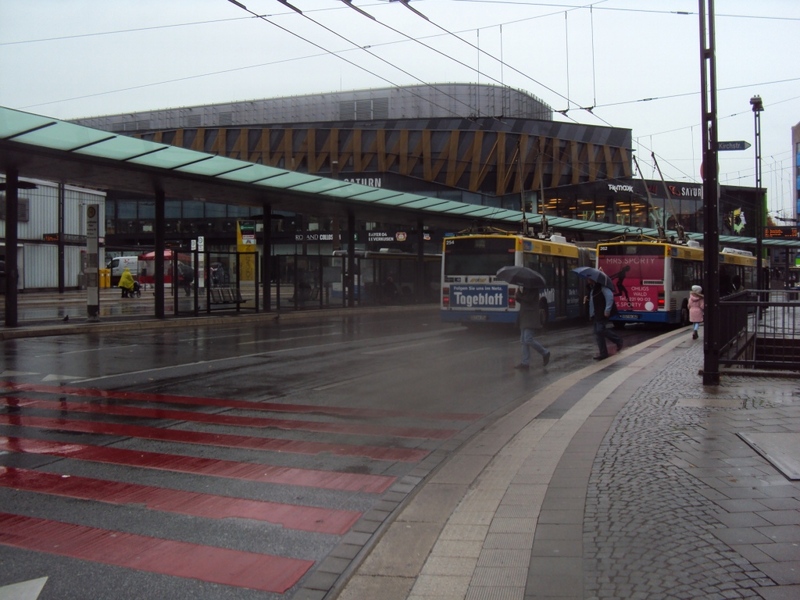 Shared space means that the speeds of car and bicycle traffic are closer and traffic is flowing more smoothly … This means that every road user is aware of the fact that he has to come to terms with the others. This promotes mutual consideration. These two basic rules are mainly there to break the dominance of the car. This leads to more equality of all road users. 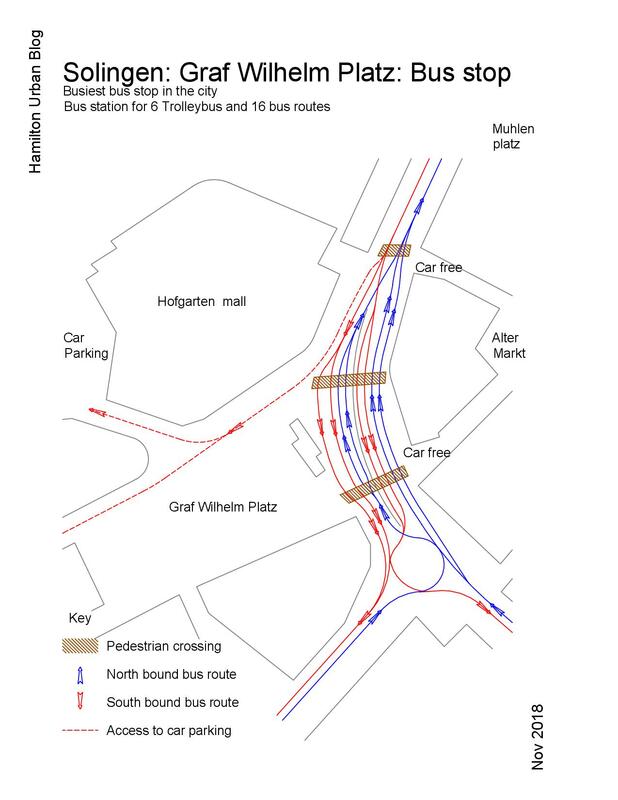 Because only those who feel safe, also like to cycle often … Visibility is essential for communication between road users … Although Shared Space clearly promotes cycling, it cannot be seen as a measure to promote cycling. Cyclists must also be considerate in a shared space …towards pedestrians. 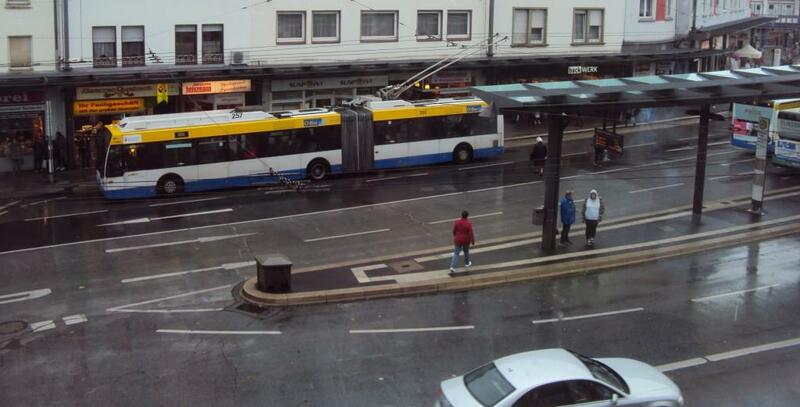 Besides, shared space is not a solution for everywhere. If you would like to know more about what it feels like to use this Neue Strabe. Councillor Siggi Henry has been he many more times than me. Her contact detail can be found here. 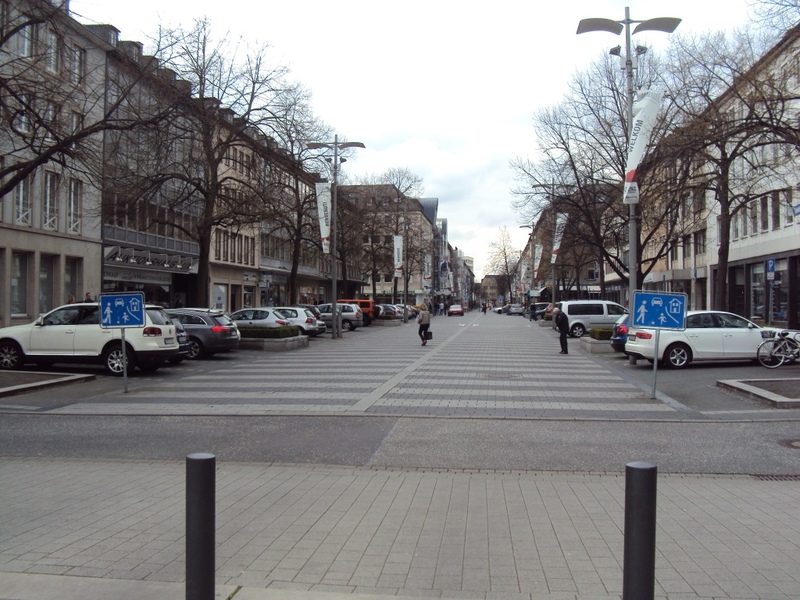 Back to Schloßstraße Koblenz, above photo looking towards the Electoral Palace (note 20kmh speed signs), and here is how the locals talk about this place. 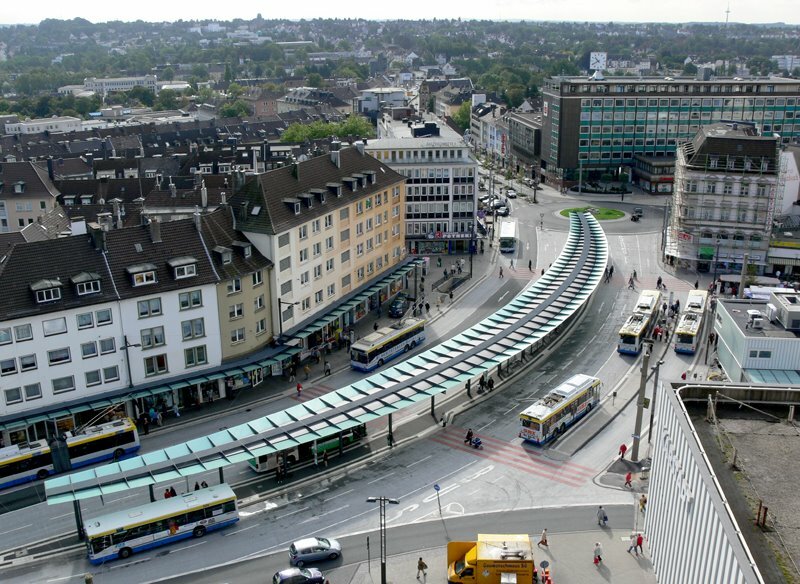 Created with numerous trees as an avenue, the heart of the street between the Centre and the Electoral Palace beats, making it an ideal connection between the city center and the Rhine promenade … Fringed by the pleasant green of the shady trees, the open-air shopping mile invites you to stroll and stroll. The range of resident businesses is unusually rich. In addition to traditionally run family businesses, you will also find modern start-ups. All together lend the Schloßstraße their special character with high-quality goods. 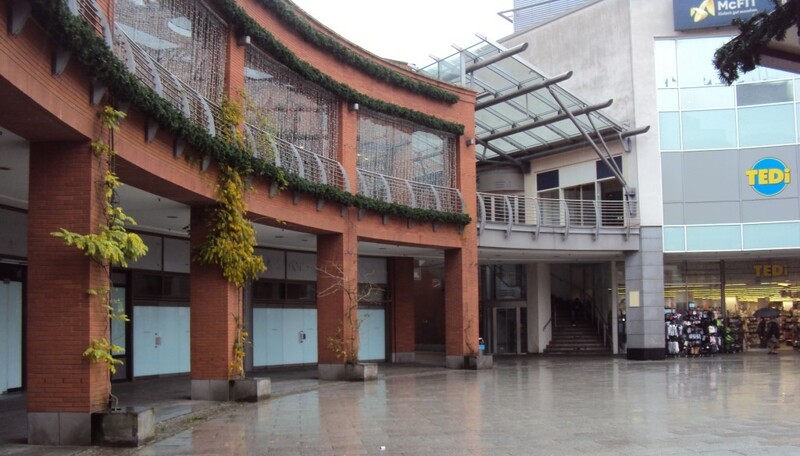 A balanced ratio of numerous specialist shops, service providers, cafes and restaurants with comfortable outdoor seating offer the opportunity to linger longer in the Schloßstraße.